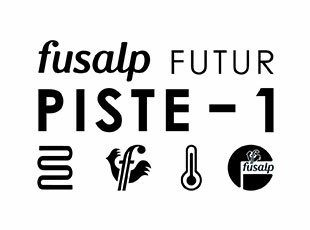 Strike a pose, subscribe to the @fusalp Instagram account and share your photo with #inspirationfusalp. To win : Addict sweater, Smoothy beanie and Softy scarf*. The contest runs from 22/02/19 to 03/03/19 (midnight French time). The draw and the announcement of the winner will take place on 04/03/19. Find the contest on our @fusalp Instagram page. The company Créations Fusalp, SA headquartered located 114 Avenue de France – 74000 Annecy, France is organizing a free competition with no required purchase to enter. Participants are invited to share their photos with #InspirationFusalp. A draw will designate 1 winner from among the participants. The Contest takes place from 22/02/19 to 03/03/19 (0:00 AM CEST) included. The organizer reserves the right to extend the duration of the competition and to postpone any communicated date. The Contest is open to all adults. However, anyone who collaborated in the organization of the Competition as well as members of their respective immediate families, employees of the organizer or subcontractors of the promoters are not allowed to participate. Participation is limited to one time per player per draw. The comment should contain the full name of the participant to be valid. Any identity information of address, or other fields mentioned in the form that would disclose inaccurate information will cancel the participation. The organizer reserves the right to withdraw any entry that does not respect the rules. At the end of the Contest, a draw will be made on March 4, 2019. Any comment entry that contains a false statement or misrepresentation and / or incomplete and / or not respecting this regulation, will be considered null and cause the designation of a new entrant through a new draw. The winner will be informed by private message of Instagram. After the draw, the winner will be invited by direct message on Instagram to provide his/her information to allow the organizer to ship the prize. At the end of a period of 7 days, the prize will be forfeited if any the message inviting the winner to communicate their address remains without response. It may be awarded to another participant drawn or designated by the jury. In addition, it is not up to the organizer to look for the winner details if they appear to be unreachable in the first place because of an invalid or unreadable email or wrong address. Prizes can’t be contested, switched or traded with any other compensation of any kind. By accepting their prize, the winner authorize the organizers to use his or her name, brand name, company name and email address and for promotional purposes in any media of his choice, without entitling the winners to any remuneration or compensation other than the prize. Personal data collected as part of participation in the Competition are recorded and used by the organizer for the purpose of their participation and the allocation of their earnings. In accordance with the “Data Protection Act” of 6 January 1978, participants have the right to access, rectify or delete information about them. All requests must be sent by mail to the organizer address mentioned in section 1. The Participant acknowledges and agrees that the sole obligation of the organizer of this Competition is to submit the collected comments to be drawn, provided that its participation meets the Terms and Regulations conditions and give prizes to winners according to the criteria and conditions defined in this Regulation. The organizer will not be liable, without this list being limited to any technical failure, hardware or software of any kind, risks of contamination by viruses circulating on the network and the lack of protection of certain data against possible misuse. Participation in the Competition implies knowledge and acceptance of the characteristics and limitations of the Internet, which cover technical performance, load time, querying and transfer of information. The Rules are governed by the French law. Any difficulty of application or Interpretive Rules will be settled exclusively by the organizer. No request or telephone complaint will be considered about the application or interpretation of these rules. Any controversy or claim relating to the Competition and / or the draw must be made in writing to the address of the organizer. No dispute will be taken into account eight days after the closing of the Competition.